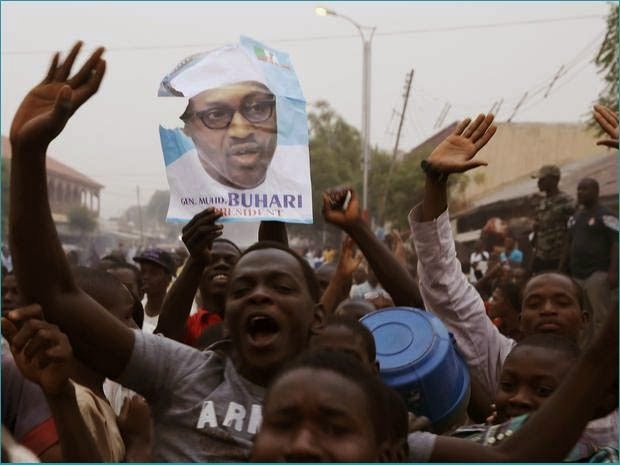 Following the unprecedented victory of the All Progressives Congress (APC) president-elect, General Muhammadu Buhari, youth group under the aegis of Northern Youth Council of Nigeria (NYCN) has called on him not to fail to meet up with the expectations of Nigerians that gave him their mandate. The group who disclosed this in a statement signed by its national president Comrade Isah Abubakar and made available to newsmen in Kaduna yesterday, further called on the president-elect to justify the confidence reposed on him by Nigerians. The youths have also commended the incumbent president Goodluck Ebele Jonathan for being courageous enough to concede defeat before the final result was released by Independent National Electoral Commission (INEC). “ Northern Youth Council of Nigeria congratulate General Muhammadu Buhari on your victory at the poll and we send our profound gratitude and appreciation to President Goodluck Jonathan for his display of true statesmanship. “ We appeal to General Buhari to live up to expectation so as to justify the confidence reposed on him by Nigerian people. “ As we call on Nigerian youths to give the president-elect the support needed to take this nation to its right place in committee of nations,” he said.